Chinese Foreign Ministry Spokesman Geng Shuang responded on Wednesday to Dan Coats's Tuesday testimony at the Capitol in which the White House National Intelligence Director argued that Beijing and Moscow are actively plotting to undermine Washington's global dominance and undermine democracy worldwide, reports Newsweek. Coates said that Russia and China pose unique, separate challenges along with North Korea and Iran - which he termed "the big four." 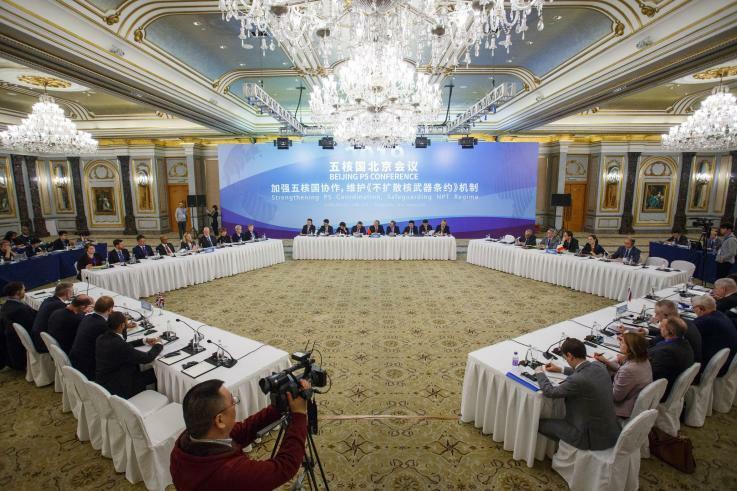 Geng said that Russia and China's relationship was "at the best level in history," and claimed that the two nations have jointly "safeguarded the peace, security and stability of the region and the world." "The United States is the world's number one power, and its military strength is unparalleled. If even the United States feels that threats are in all directions, what should other countries do?" asked Geng, who said that Washington appeared to be "afraid of a looming threat." "I don't know where the strong insecurity of the U.S. comes from," Geng added. "I want to emphasize that there is no absolute security in the world, and the security of a country is less likely to be based on the insecurity of other countries." And according to Newsweek, China and Russia have grown closer in the face of Western scrutiny. China and Russia have grown closer in recent years over what they jointly view as an expansionist U.S. doctrine harmful to their own agendas at home and abroad. While President Donald Trump initially sought to work more closely with his country's top two military rivals, the first two years of his administration have left the U.S. further alienated from China and Russia. The two countries were designated as adversaries in central Trump administration documents such as the National Security Strategy, National Defense Strategy, Nuclear Posture Review and, most recently, the 2019 Missile Defense Review. The ambitious, costly plan would see missile sensors deployed to space and other measures intended to "ensure that we can detect and destroy any missile launched against the United States anywhere, anytime" as Trump said earlier this month. While China and Russia are formidable, the United States - for now, still has significant advantages in terms of strength, reach and technology. 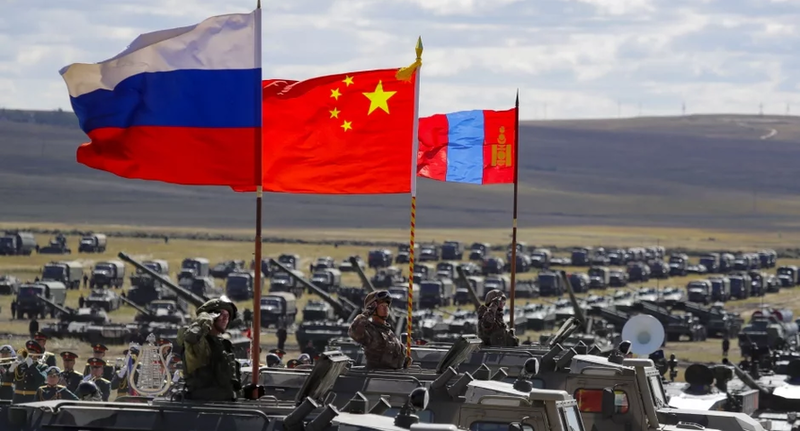 That said, according to the US Institute of Peace, the United States "might struggle to win, or perhaps lose, a war against China or Russia," and "is particularly at risk of being overwhelmed should its military be forced to fight on two or more fronts simultaneously." Geng suggested that "the U.S. can abandon zero-sum thinking, abandon the view of relations between major powers from a confrontational perspective, conform to the tide of peace and development and work with China, Russia and the international community to jointly safeguard international peace and security." Speaking to the different challenges posed by Russia and China, DNI Coates saidL "Whereas with China, we must be concerned about the methodical and long-term efforts to capitalize on its past decade of a growing economy and to match, or overtake our superior global capabilities, Russia’s approach relies on misdirection and obfuscation as it seeks to destabilize and diminish our standing in the world." On Monday following a non-proliferation meeting of the five permanent United Nations Security Council members, Russian Deputy Foreign Minister Sergey Ryabkov said that Moscow and Beijing would "focus" on coordinating their nuclear weapons strategies.